Starting over. New beginning. High expectation. Challenge #14 in the Diversity series. Hosted by FNG303. Hoping the coming year will be a good one. No complaints about entries not satisfying all the requirements. Vote accordingly. 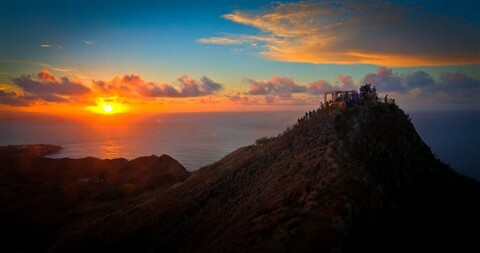 People head out early to the peak of Diamond head in Oahu, Hawaii for the view of sunrise.